Searching for a New or Resale Home in Delaware or Pennsylvania? 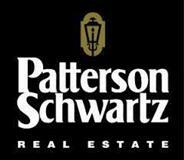 Are you thinking of buying or selling a home in the @delaware@ area? When you want to make the largest financial investment in your life, you will not want to trust a friend or relative. You want a REALTOR with over 28 years of proven experience to handle your home sale or purchase. Wayne West has been a nationally recognized top producer for over twenty eight years. Are you interested in more Newark, DE area details? Thank you for visiting www.waynewest.com! This is a one-stop real estate website for all your home buying and selling needs in Newark, DE. I’m a professional real estate agent who will help make your search for a new home an enjoyable experience. I have home sales experience in Pike Creek DE, Newark, DE , Hockessin, DE, Middletown DE, Bear, DE, and Stanton DE. My experience extends to Chester County, PA and Delaware County PA. .
Request More Info for Delaware home buying and home selling.